According to the director of the University of Maryland Center for Celiac Research, gluten sensitivity and intolerance effects just around 6 to 7% of the total American population. While this percentage may seem small, the number itself is quite large – just about 20 million people in the United States alone. Bucceto’s, and our owner Paul Heilbrunn, don’t want to deprive these gluten sensitive individuals from enjoying great pizza, which is why we supply no gluten pizza to residents looking for a stellar pie in Bloomington and Columbus. 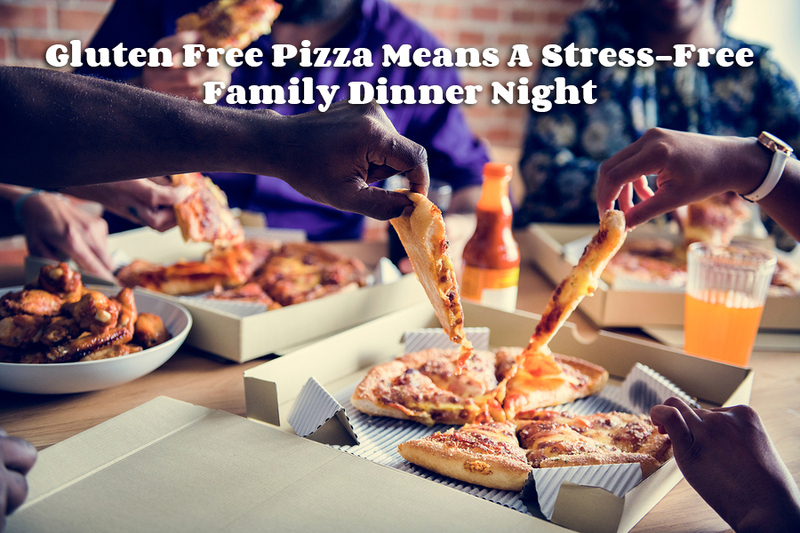 This no gluten pizza isn’t limited, and it provides excellent flavors to families all over Indiana looking for something truly delicious to satisfy the entire family! From small immediate families to large extended families, dinnertime is the perfect time to spend quality time together. For families affected by gluten sensitivity or intolerance, picking a place to go to satisfy the entire family can be pretty tough. Especially children with gluten sensitivities, it can be hard finding something they’ll happily eat that also provides parents with peace of mind. 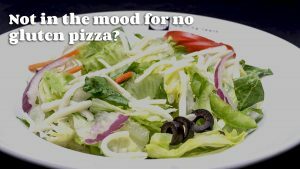 Our Smiling Teeth pizza combos can be ordered as no gluten pizza without any problem, and you’re still getting the same fresh ingredients and bold flavors you expect from Bucceto’s. Veggie pizzas, meat-friendly pizzas, and your own special design your own favorites styles give the entire family exactly what they want without the hassle of figuring out what will be safe and tasty for everyone. Not in the mood for no gluten pizza? Pizza isn’t the only gluten free option at Bucceto’s locations. If you’re in the mood for some simple lunch apps, we also serve up fresh gluten free salads, soups, and even bruschetta. If what you’re after is something that really sticks to the stomach, our gluten free pastas hit the spot and fill you up with often a bit to spare for later. Gluten intolerance and sensitivity can range from uncomfortable to dangerous, and we believe you should confidently enjoy your meals out without the worry of leaving dissatisfied or feeling poorly. Our gluten free menu at Bucceto’s covers all of your favorites, from apps, to pizza, to sweets, for a stress-free and exciting experience every single time. For takeout and delivery, our gluten free menu doesn’t go away, and brings all of your no gluten pizza favorites right to your dining room table.